Feeling over heated? Did you fall and scrape your knee? Have a headache? No matter what your ailment there are First Aid stations in both Disneyland and California Adventure. Nurses are available during normal park operating hours to offer over-the-counter medications, bandages and other quick remedies so that you can begin enjoying your visit again. If you are unable to come to a First Aid location, please tell the nearest Cast Member and a nurse may be able to assist you in the parks. The Disneyland’s First Aid station is located at the end of Main Street, U.S.A. next to the Baby Care Center. California Adventure’s First Aid is located next to the Guest Relations Lobby on Buena Vista Street. Not long after posting this I broke my toe at Disneyland’s California Adventure. It was totally and completely my own fault. 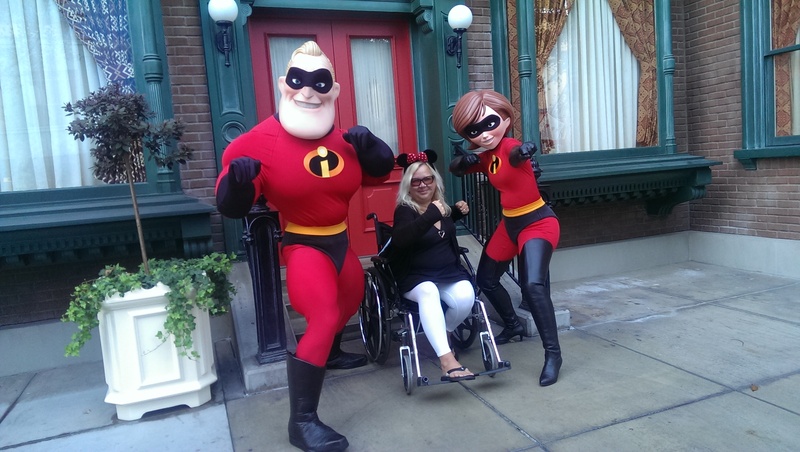 I was in my wheelchair and while positioning myself for a picture with Mr. and Mrs. Incredible, I stupidly placed my left foot on the ground and proceeded to run over my baby toe!! Fighting back the tears, because I was on a mission to get this picture taken, I plastered a smile on my face posed for my pic. My toe hurt, but because I had medicated earlier the level of pain was deceivingly not too bad. However, I couldn’t hold back the tears when my meds had worn off. I looked down at my foot and noticed that my toe was purple and swollen. Having broken two other toes in my lifetime, I knew exactly what to do. My daughter was horrified by the sight of my toe and began to express sympathy when I suddenly began to grin ear to ear. My daughter couldn’t imagine what would cause me to grin as I just realized that my toe was broken, so I explained…. I finally had a reason to visit First Aid!!!! I was giddy with excitement as my daughter pushed me towards the First Aid station in California Adventure. The facility and the staff were amazing. It’s Disney, did I really expect less???!! They helped me stabilize and wrap my toe and gave me an icepack. Because I broke my toe on Disney property, they had to fill out a detailed incident report. My nurse was kind and hilarious, he made my daughter and I giggle the entire time with his silly jokes. 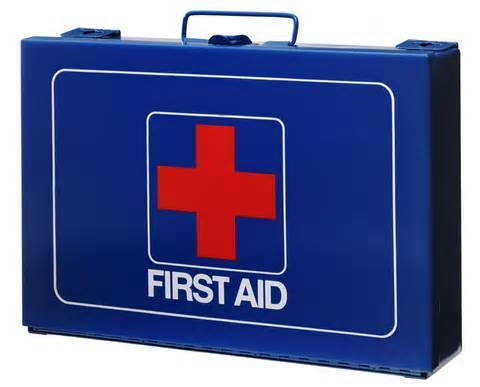 Do not be afraid of visiting the First Aid facilities in the parks, they are there to help you! And if you are accident prone like me, you may want to make sure you know exactly where they are located before you begin your first or next visit to The Disneyland Resort! Wishing everyone a safe and magical day!